Need sewer backup services in NJ? When your sewer line backs up, you’ll need help from a professional sewer plumber in NJ. From hydro jetting to remove clogs in the sewer line, to sewer repairs and sewer replacement for more serious problems, we’re available 24/7 for all your sewer emergencies. Sewer backflow in NJ can cause serious sewer / water damage inside your home, so it’s important to call immediately for professional help. We provide professional sewer cleaning, trenchless sewer repair options like sewer relining, and other sewer repair services for serious sewer problems. We serve homeowners and businesses in all of north NJ, including Bergen County, Morris County, Union County, Passaic County, and more. Call us any time for fast, reliable sewer repairs and sewer cleaning in New Jersey, at 201-645-0888. If your sewer line is clogged, you’ll need help from a local NJ sewer plumbers. When your sewer pipe is clogged enough that water is backing up into your pipes and drains, there’s no way that you can fix the problem on your own. 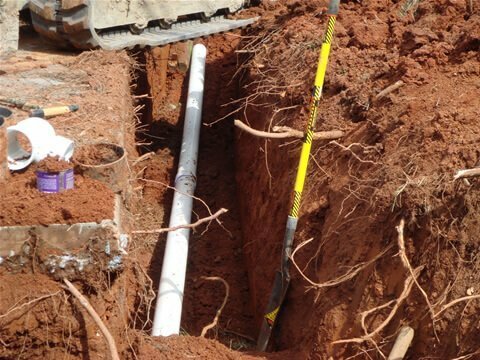 Sewer main lines are located underground, and to access and clean them requires professional equipment and a lot of experience. At A1 Sewer & Drain Services, we use sophisticated and powerful hydro jetting equipment for sewer cleaning service. Hydro jetting motors are capable of propelling water out of specialized nozzles at pressures as high as 5,000 PSI (pounds per square inch). These pressures give the water a cutting action, allowing us to break through stubborn debris to clear a sewer line completely. For tough tree roots, we sometimes use a specialized cutting attachment beforehand. After hydro jetting, we use sewer camera inspection to examine the pipe for cracks, pinhole leaks, corroded areas, and other damage. If the sewer clog was caused by tree roots or debris stuck to jagged broken areas, we’ll recommend sewer repair service to resolve the problem for you. Most minor sewer repairs can be accomplished using sewer relining and other trenchless sewer solutions, keeping the process simple for homeowners. Sewer Repairs for a Broken Sewer Pipe in NJ? Call Us Today! Sewer backups can also result from a broken or collapsed sewer pipe. When the pipe breaks apart, wastewater that can’t escape into the city sewer mains can back up into your plumbing, coming out of your drains and causing flooding and water damage. The signs can be similar to those of a clogged sewer line, but you may want to look for a sinking sewer cleanout or moist and soggy soil above the sewer pipe. These signify a broken or collapsed sewer line. Extreme Weather Changes – changes in the weather temperature, particular large amounts of snow, ice and freezing temperatures, can cause shifts in the ground around the sewer pipes causing sewer lines to collapse or break apart. Older sewer pipes – If your home was built more than a few decades ago your sewer lines may have worn down, may be made of a material that has become corroded or have begun disintegrating and breaking apart. Tree roots – Tree roots in your yard seeking out water very often will break through your underground sewer pipes. The tree roots will push through cracking open the sewer pipe requiring sewer repair. In some cases, damage to the sewer line can be fixed with trenchless sewer repairs. Sewer relining is one of the most common techniques that NJ plumbers use to fix cracks, holes, and leaks in sewer pipes, with minimal disruption for homeowners. An inflatable pneumatic bladder and resin-coated sewer liner can be inserted through the cleanout, without any excavation. Once it’s in position, as confirmed with inspection cameras, we inflate the bladder to hold the liner tight against the walls of the pipe. The liner is hardened with heat or UV, then the bladder can be deflated and removed. This leaves a waterproof, corrosion-resistant liner that stops underground water leaks and keeps out tree roots. Sewer relining is ideal for relatively minor damage, when the pipe still retains most of its structural integrity. If your sewer main line is severely damaged or has collapsed, you may need total or partial sewer replacement instead. Sewer replacement can often be achieved with trenchless solutions. Pipe bursting with a hydraulic bursting head allows us to remove an old, severely broken sewer pipe, pulling a new pipeline into place behind it. 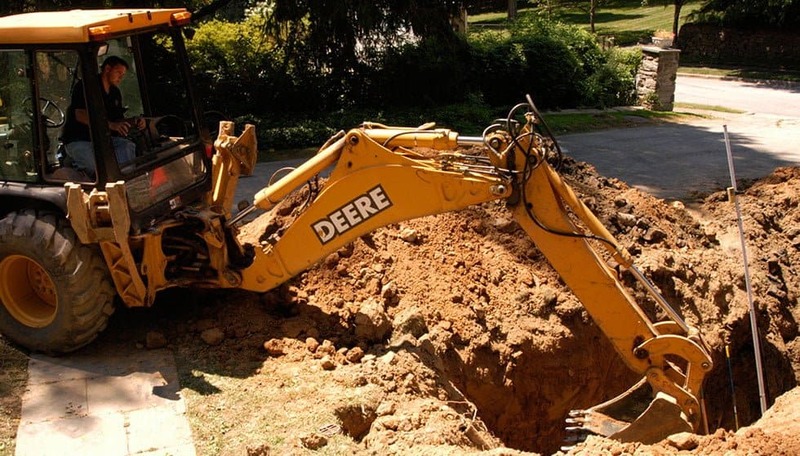 However, depending on soil conditions and other factors, we may need to excavate for sewer pipe replacement. At A1 Sewer & Drain Services, we’re available 24/7 for sewer cleaning, sewer repairs, sewer replacement, and other solutions for damaged or backed up sewer lines in north NJ. Call Us Any Time for Professional sewer man We service Bergen County, Morris County, Union County, Passaic County, Hudson County, and nearby areas. Call us any time for sewer service in NJ today, at 201-645-0888. Need sewer backup service or repair in NJ?